Following the devastating fire destroying Hiddenvale's homestead, Lamberts were engaged to provide a commercial kitchen as soon as possible to enable the staff to keep catering for the venue. Along with the Spicer's design team, we agreed that using 3off shipping containers and building them offsite was the best solution. They would be delivered to site complete and then the Spicer's building team would clad the exterior to blend in with the other buildings. Lamberts provided and modified the containers. 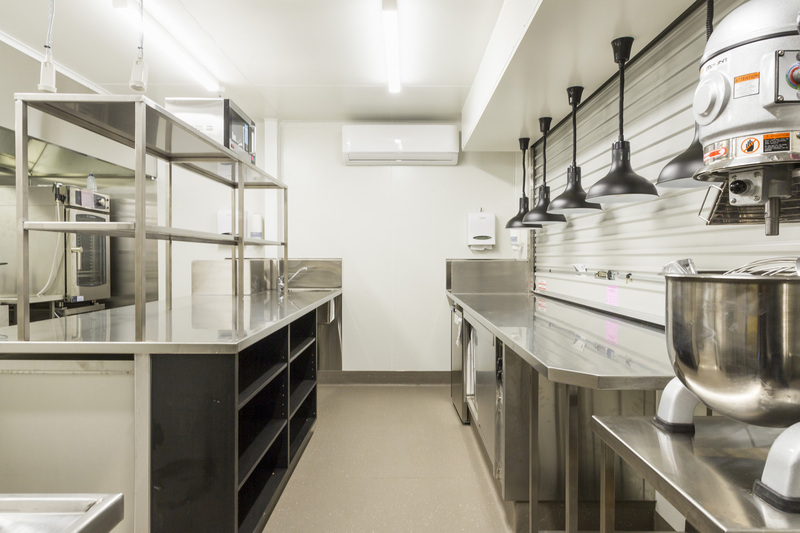 Provided all wall linings, flooring, plumbing, electrical, coldroom, exhaust canopy, catering equipment and all stainless steel items to complete the project. The project received a 5 star rating from the health department.